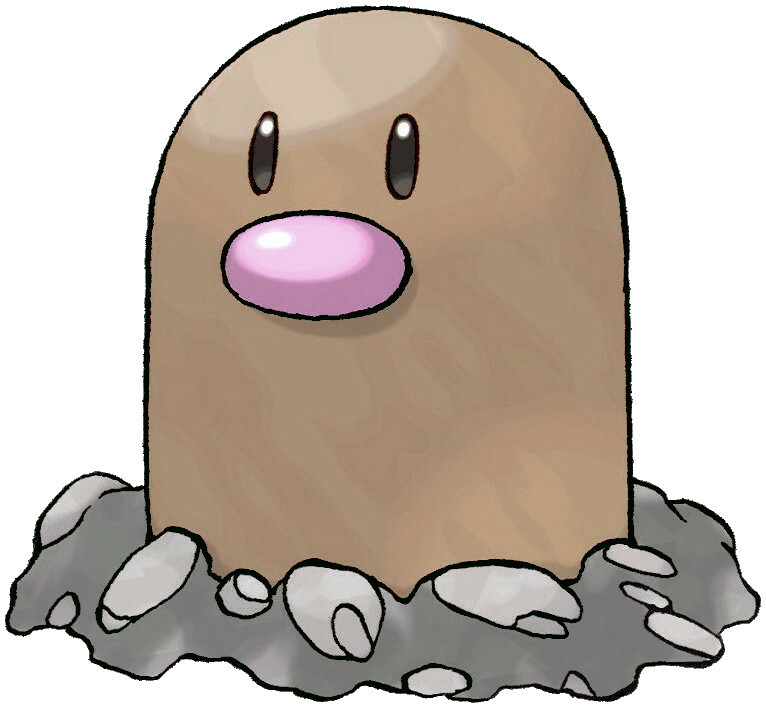 Diglett is a Ground type Pokémon introduced in Generation 1. It is known as the Mole Pokémon . The effectiveness of each type on Diglett. 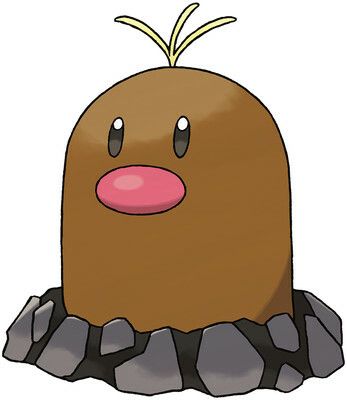 In Generation 1, Diglett has a base Special stat of 45. In Generations 1-4, Diglett has a base experience yield of 81. DIGLETT are raised in most farms. The reason is simple--wherever they burrow, the soil is left perfectly tilled for growing delicious crops. Although it’s powerful enough to dig right through volcanic rock, it doesn’t allow itself to be seen very often. Diglett learns the following moves in Pokémon Let's Go Pikachu & Let's Go Eevee at the levels specified. Diglett learns the following moves in Pokémon Ultra Sun & Ultra Moon at the levels specified. Diglett learns the following moves via breeding in Pokémon Ultra Sun & Ultra Moon. Details and compatible parents can be found on the Diglett egg moves page. Diglett can only learn these moves in previous generations. It must be taught the moves in the appropriate game and then transferred to Pokémon Ultra Sun & Ultra Moon.